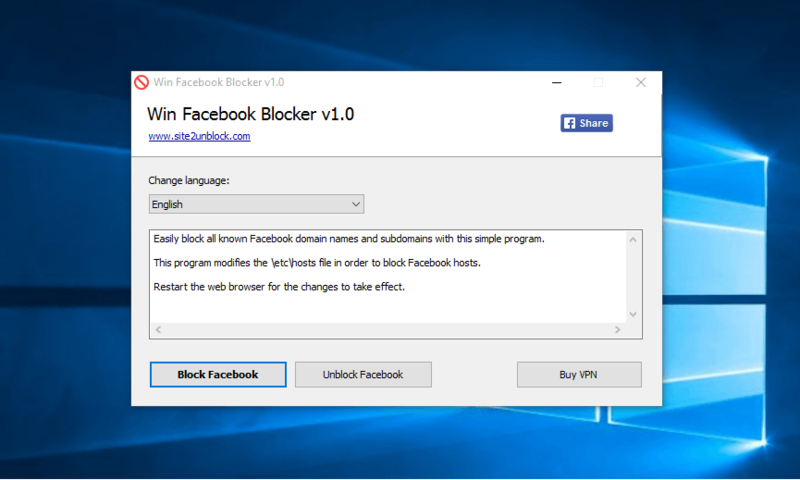 Win Facebook Blocker is a simple Windows OS software useful to block Facebook domains and subdomains. Of course, you can also unblock Facebook when needed. Useful to block Facebook for your children or employees. The program modifies the \etc\hosts file in order to block Facebook. We have translated the program into 20 languages and the program automatically selects the language based on the one that is in use on your operating system. Make sure to restart the web browser for the changes to take effect. Works on Windows XP, Vista, 7, 8, 8.1, 10 (32\64-bit).